Throughout Arizona, Title I schools and districts are working diligently to meet the needs of their students and families. One major challenge they face yearly is around staffing–finding high-quality, dedicated educators to fill their open vacancies for the upcoming school year. 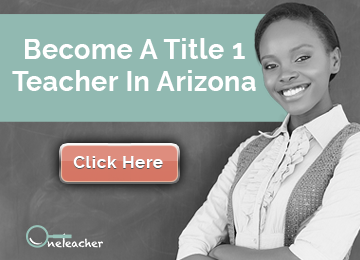 OneTeacher, founded in 2015 by former educator Erin Tobin, helps alleviate that burden by supporting schools and districts in meeting their hiring needs. Balsz School District in Phoenix, Arizona is one such district. Balsz is a small district of five Title I schools in East Phoenix that serves students with diverse backgrounds from all over the world. There are 20 different languages represented among the students and families in Balsz, and educators there work hard to ensure students are, “empowered to be globally competitive and innovative thinkers who contribute to their community’s sustainability” (Balsz Vision Statement). Over the course of their work together, the OneTeacher team has sought to better understand the Balsz District, in order to successfully support their team in finding candidates who are a great fit for this unique and exceptional district. 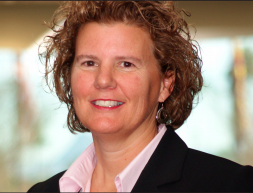 Alexis Wilson, pictured above, has been an educator in the Balsz School District for 21 years. A former teacher, assistant principal, and principal, Alexis has served as the district’s Assistant Superintendent of Administrative Services for the past five years. She’s no stranger to the challenges that the teacher shortage in Arizona presents, not only for districts, but for students and families as well. By partnering with OneTeacher for the 2017-2018 school year, however, Wilson was able to ensure that nearly each of her district’s classrooms were staffed with a qualified, permanent teacher on the first day of school. Like hundreds of other schools, the teacher shortage in Arizona has affected Balsz’ ability to attract, hire and retain quality teachers. The shallow pool of applicants has created challenges for principals looking to hire teachers who are a good fit for the district–those incredible educators with a passion for working in urban communities with a high-needs student population, and who have a desire to hold all students to high expectations. When the fit isn’t right between a candidate and district, everyone suffers. Wilson notes, “you have turnover, which is difficult because you’ve invested time and money in helping teachers, and then they walk right out the door. You can’t gain a lot of traction, especially when we know it takes three to five years to refine your craft, and many teachers are leaving in their first one to three years.” It’s hard for students, too, when teachers aren’t matched well with their school, and leave mid-year or after just a year or two. When OneTeacher began supporting Balsz in the spring of 2017, the district had over 50 open positions to fill and a dearth of applicants. Thanks to the support of OneTeacher, nearly all formerly open roles were filled with qualified teachers ready to start the year–teachers who had gone through the district’s orientation and were in classrooms with students on the first day of school. “Those classrooms would have been filled with subs or I don’t know what–maybe we would have had larger class sizes, or taken coaches out of positions” if not for OneTeacher’s support, notes Wilson. “One of the biggest benefits for Balsz of working with OneTeacher has been the improved screening and vetting process that goes above and beyond what a school or district typically has capacity for,” says Wilson. OneTeacher’s process is thorough and asks deep questions to truly ascertain whether or not a candidate is a likely fit. This is especially helpful during the time of year when schools are trying to get positions filled in time for the following school year, but they don’t want to sacrifice on candidate quality. OneTeacher provides feedback to schools and districts about each particular candidate that Wilson has found to be “very specific.” Aside from sharing highlights about each candidate who is likely to be a fit, the OneTeacher team also provides guidance around what areas of questioning to dig deeper into, so the school’s hiring team knows exactly in which areas they need to learn more to assess a candidate’s ultimate fit with their school. Besides OneTeacher’s ability to identify strengths and challenges for each particular candidate prior to them coming to the district, the sheer “number of candidates OneTeacher had available surpassed what we were seeing,” in terms of applications, notes Wilson. The combination of these factors helped to alleviate the tremendous burden that Balsz was experiencing as a result of the teacher shortage–a burden that ultimately affects the district’s students and families. One educator who was connected to Balsz by the matchmakers at OneTeacher has done amazing things with her students in her role as a gifted teacher. Wilson notes, “We have kids who are getting services now–we didn’t have a gifted teacher to finish out the year last year.” This teacher has created a chess club, initiating an after-school experience for students that they wouldn’t have otherwise had. “They’re going to a tournament soon, and our students are creating memories and accessing opportunities as [a] result of [this teacher] being so dedicated. She’s hard working and positive, and her energy and enthusiasm are infectious. She’s got that never-give-up attitude,” notes Wilson. OneTeacher’s skill in finding, cultivating, and screening teacher candidates for Title I schools and districts like Balsz is critical to ensuring that students have amazing teachers in their classrooms from the first day of school forward. 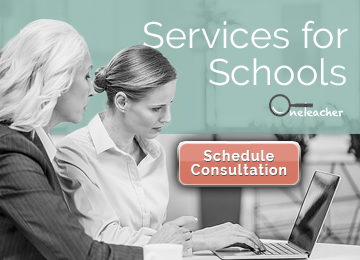 Let the matchmakers at OneTeacher help your school or district start the school year fully staffed–schedule a consultation with us today to learn more about how we can support your hiring needs for the upcoming school year!